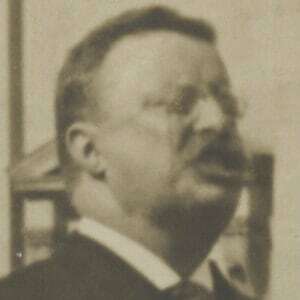 Here Theodore Roosevelt, on this historic photo of him delivering his 1905 Inaugural Address, inscribes the bottom margin with these famous lines, more or less quoting from a speech he gave many times: “In a Republic such as ours the only safety is to stand neither for nor against any man because he is rich or because he is poor...... We must treat each man only on his worth as a man. We must see that each is given a square deal.” This keystone sentiment, of course, was Roosevelt’s signature domestic credo. In a Republic such as ours the only safety is to stand neither for nor against any man because he is rich or because he is poor...... we must treat each man only on his worth as a man. We must see that each is given a square deal.